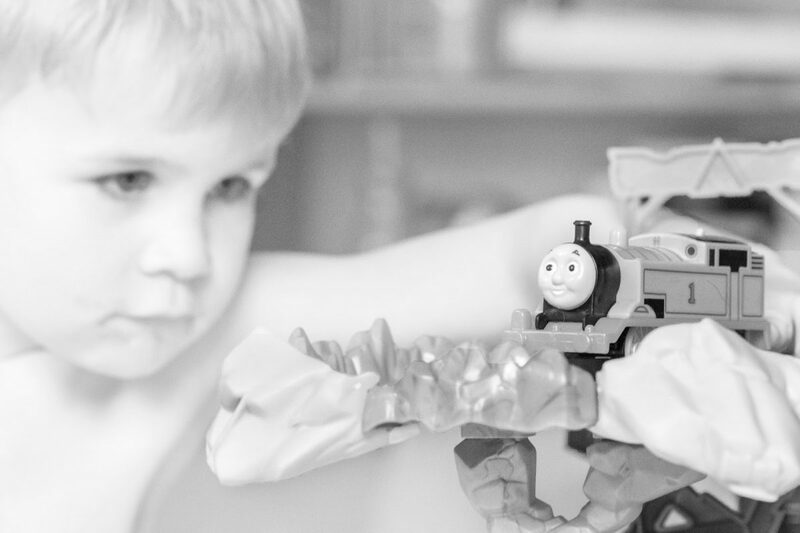 How many daring stunts will Thomas the Tank Engine pull? More than I’d like, if I was the Controller! I’m just glad Thomas isn’t a passenger train on this track. 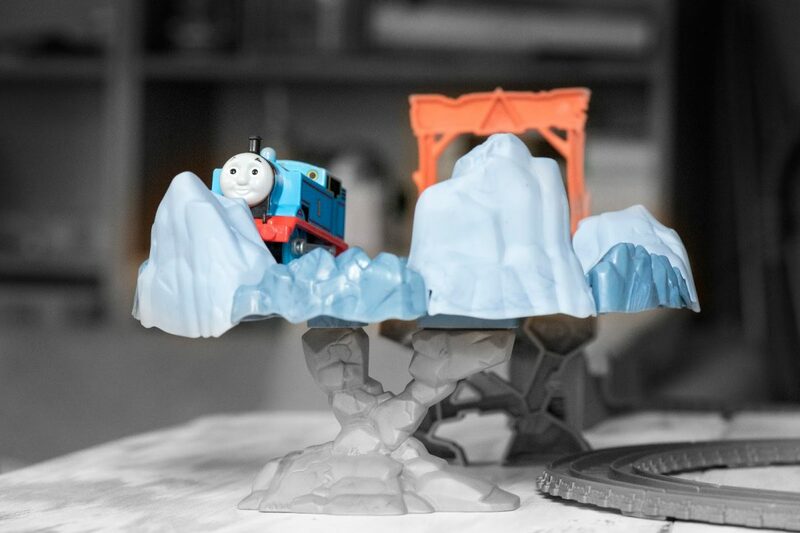 In Thomas and Friends Close Call Cliff Set, Thomas climbs the steep track, performs a 360 degree turn, knocking boulders from the cliff as he does so, and plummets back down the hill. 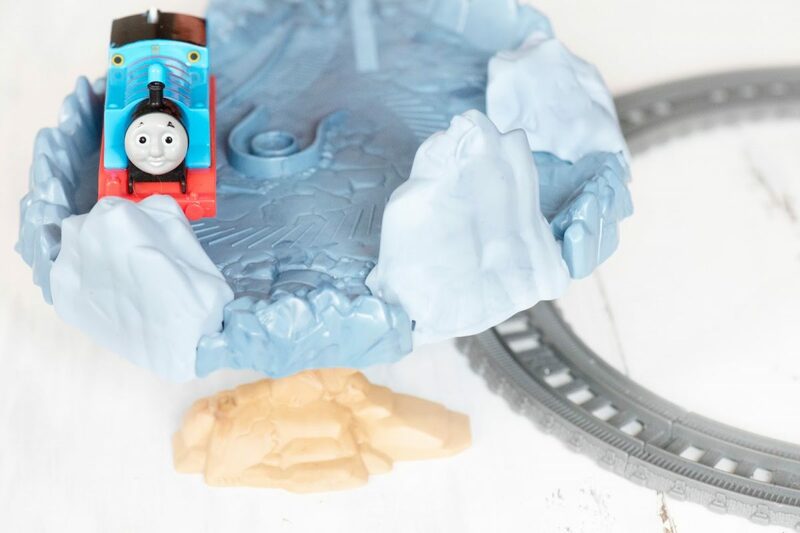 The looped track means that Thomas can return to the clifftop over and over, making cool discoveries each time he does so. The Thomas and Friends Trackmaster Motorised Railway Close Call Cliff Set contains 19 pieces of track and a battery operated Thomas [batteries not included] – and can join any other part of the Track Master series. That the batteries were already included. Getting a tiny screwdriver and batteries before the boys could play with Thomas wasn’t the most fun – and when your little ones are too young to understand that they need to wait for a while, the novelty of the toy quickly disappears before it’s even had a chance to be properly played with. Each set came with two trains – we’ve collected a few track sets now and have three Thomas trains, and only one other different engine. Honestly it seems a little expensive for the size of the track in comparison to the other Thomas track sets, but it works brilliantly and captivates the boys for quite some time. Combined with the other tracks, this is another fantastic stunt to see Thomas pull and I’ve no doubt it would be on my boys’ Christmas or birthday wish lists.